The Aldford adds a touch of tradtional Dutch farm house beauty to your garden. 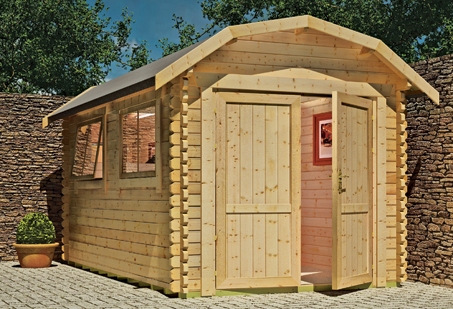 This UK exclusive design provides an imposing yet attractive attractive outdoor studio or storage area with incredible room created by the barn style ridge roof structure. Large full height double doors for access into a huge interior storage space. Ultra strong rounded four corner framework and a heavy duty roof truss provided strength and durability. Superior Grade 28mm tongue and groove shiplap cladding providing increased rigidity and security. The roof is covered with heavy duty green mineral felt and a high security lock and key system is supplied as standard.